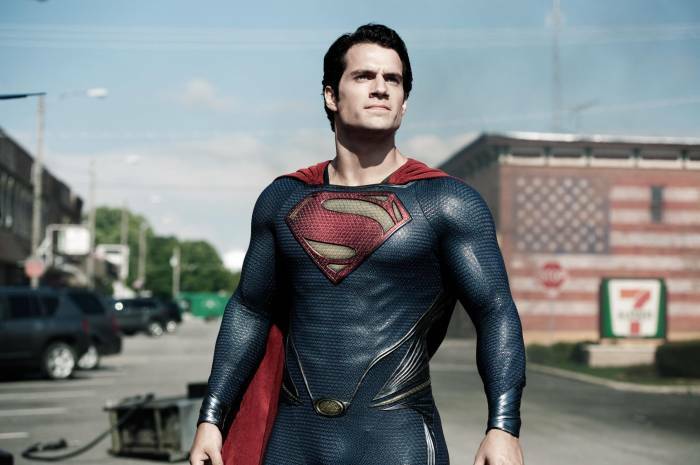 Henry Cavill has responded to a report that he will no longer star as Superman in the Warner Bros franchise. On 13 September The Hollywood Reporter reported that the British actor was leaving the role after talks with the studio broke down. Cavill – who has played the iconic character in three DC comics movies – was expected to cameo in Shazam!, the upcoming superhero movie starring Zachary Levi. However, scheduling conflicts prevented him from making an appearance. The actor has since responded with a cryptic Instagram post which shows him staring at the camera while bringing a Superman figurine into view, and then moving it back out of the shot. A representative for Warner released a statement on the situation, stating that no decision has been made at this time. “While no decisions have been made regarding any upcoming Superman films, we’ve always had great respect for and a great relationship with Henry Cavill, and that remains unchanged,” they said. The initial report claimed that the breakdown in talks coincided with the studio’s desire to focus on Supergirl rather than Superman. According to DC comics lore, Supergirl’s origin story features Superman as an infant – suggesting the 35-year-old Cavill would not make an appearance in any Supergirl film. “Superman is like James Bond, and after a certain run you have to look at new actors,” a source told THR. Should Cavill leave the role, he would be the second high-profile actor to be removed from the Warner Bros franchise after Ben Affleck reportedly quit as Batman. The pair starred in 2016’s Batman v Superman: Dawn of Justice and last year’s Justice League, with Cavill also appearing in the 2013 Superman movie Man of Steel. Meanwhile, Cavill recently landed the main role in the Netflix series Witcher, which should effectively fill his schedule for the coming future.